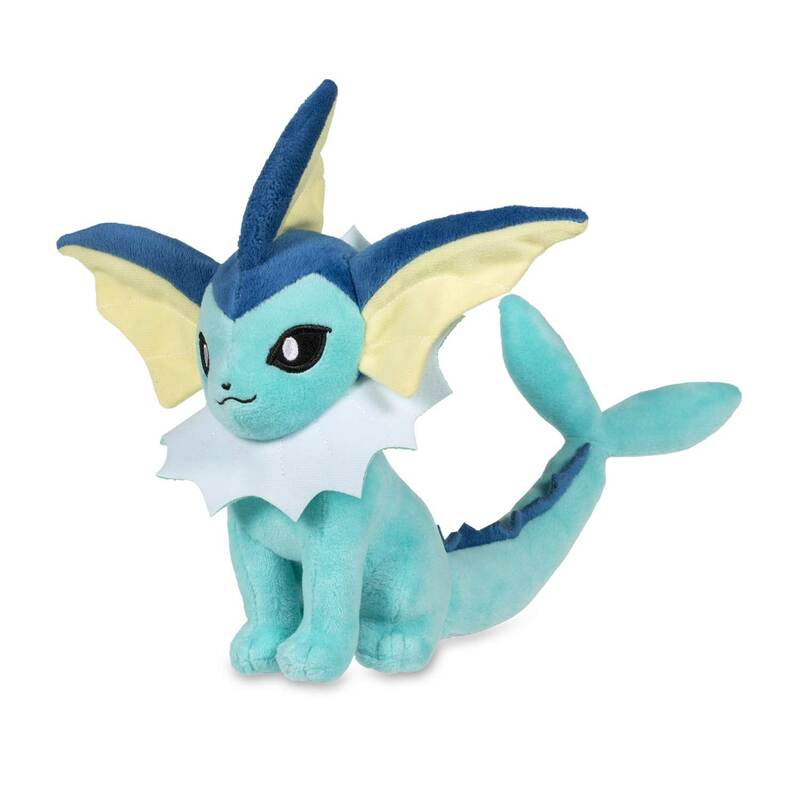 Sitting Vaporeon Poké Plush (Standard Size) - 7 3/4 In. Relaxing blue Water-type Poké Plush! 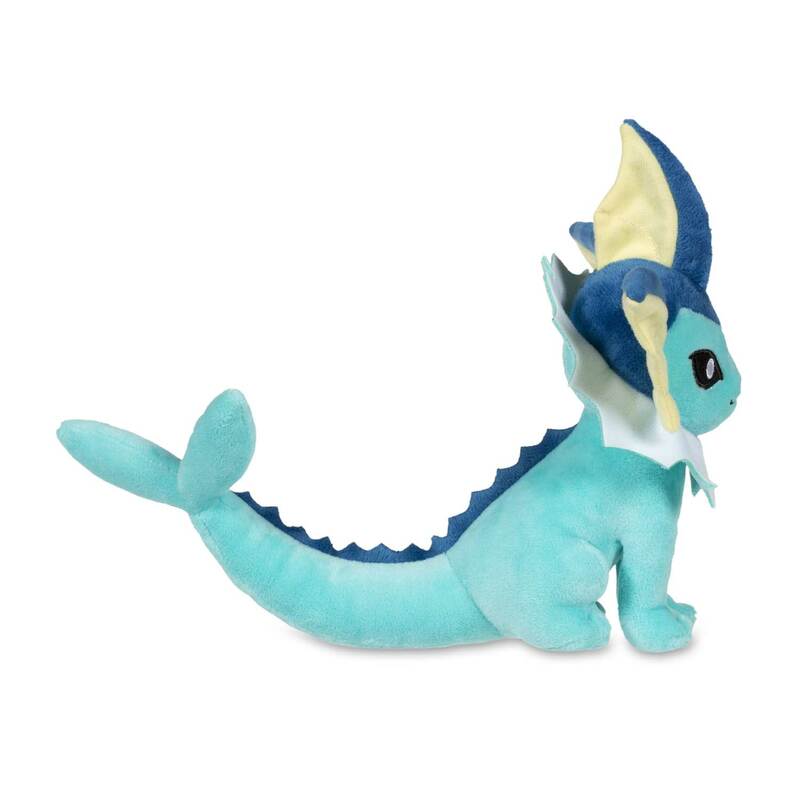 This Vaporeon plush has a sweet seafoam ruff, neatly stitched dorsal fin, and big ears. 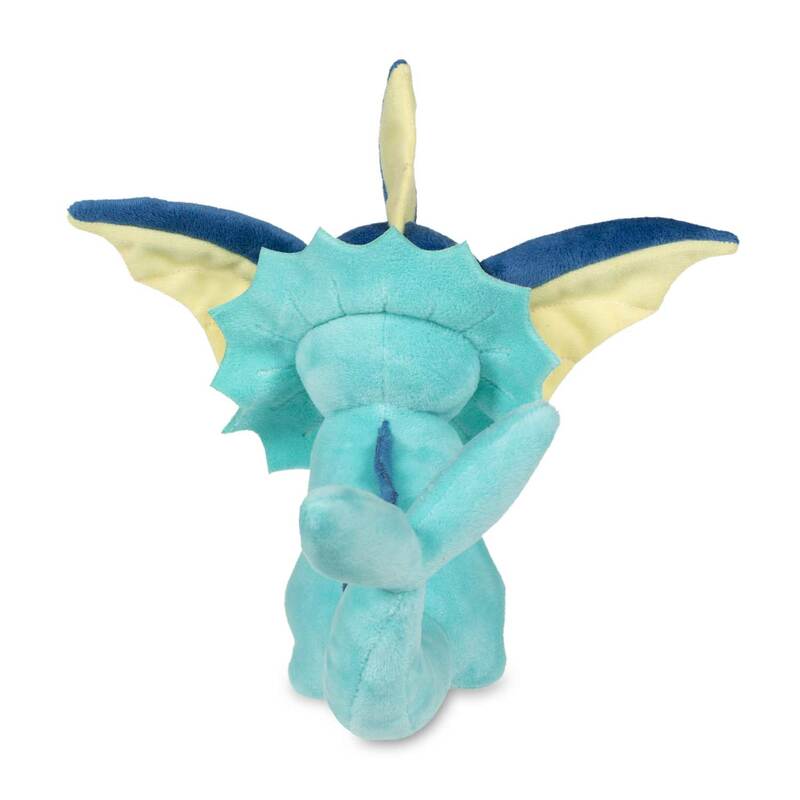 A watchful pose and a love for the sea: that's Vaporeon! It's making a big splash!